When a person passes away because of the negligence of another person, the appointed personal representative can sue on behalf of the decedent. The personal representative is often a family member, but a neutral third party may also be appointed. If the claim is successful, the personal representative will hold the money in trust to distribute to the heirs of the decedent. The heirs of the decedent will typically be the decedent’s spouse (if married), children (if a parent), parents (if no spouse or children), or siblings (if there are no surviving spouses, children, or parents). In New York, while you cannot receive monetary awards for your own personal pain and suffering, you can recover for any pain and suffering that the decedent suffered. Additionally, you will be able to recover funeral and burial costs, medical costs contributed to treating the decedent up to his or her death, lost income, and the loss of value for the services, support, and parenting to close family members due to the death. Punitive damages (to punish the defendant) are only imposed in rare cases, typically where the facts show that the defendant acted with extreme recklessness or malice. While you may be able to receive monetary relief for your loss, an experienced personal injury attorney will need to review the relevant facts surrounding your case to let you know whether it is worth it to sue and how much you could earn. Dollar amounts are based on the facts surrounding the death. An attorney experienced in wrongful death suits will be able to determine an estimate, as each case is different. Specifically, cases surrounding wrongful deaths of children or elders may be more challenging because the factors that determine the amount of compensation are difficult to accurately put a dollar amount to. These factors include life and work expectancy, age and health, and reliability. Each state has enacted a statute of limitations for when a plaintiff can file suit for different causes of actions. The reasoning behind these is to ensure that defendants are able to defend themselves without the risk of lost evidence or memory. When too much time has surpassed, the claim is considered “stale.” Presumably, if a plaintiff has a case, he or she needs to file suit within a reasonable amount of time, which is why states have enacted these limitations to depict when a claim becomes stale. In New York, the statute of limitations for a wrongful death action is two years from the day of the decedent’s death. 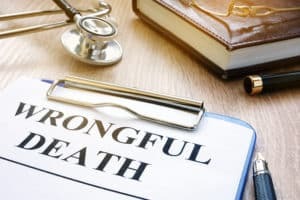 Therefore, if you think you may have a successful wrongful death claim, you should not delay reaching out to an attorney so that your case is timely and properly filed within the time limitation. New York has allowed for narrow exceptions to the two-year rule, so even if you have surpassed the two-year limitation, you should contact an attorney to see if you fall within one of these few exceptions, as you have nothing to lose. However, it will always be beneficial for you to timely file rather than try to fall under an exception. The attorneys at O’Brien & Ford are skilled and experienced in the realm of personal injury law including wrongful death claims. We understand that this is a difficult time for you, but we will be there to help you every step of the way. Do not wait or hesitate to call us at (716) 330-2901 today.